Glass revolutionised the idea of architecture and design and became the dominant material in skylines all over the world. There are just so many ways architects can use it. It’s beautiful, airtight, durable – depending on its intended purpose, and an incredible space saver. But, even with all the design benefits of glass, offices restrict its use of windows. This is a grave misuse of the potential of glass as a material. The limited range of glass implementation stems from the misunderstanding regarding glass as fragile. Most people’s experience with glass start with drinking cups that break easily. From then on, there’s a subtle connection for between glass and breaking in the psyche of many people. This limits the confidence of business owners in the material. If you’re one of those people, take glass walls into consideration. These are a viable option for any and every part of the building. Experts can temper, anneal, and laminate glass to suit different purposes. Still, there are some very valid protests against the use of glass other than in windows. Offices can use either translucent or opaque glass as partitions to keep employees from snooping on each other. That way, employees can work comfortably and enjoy the light that can pass through the partitions. As a material, glass is much better than dry wall because of its low maintenance. Normal walls need paint every few years due to chipping and fading. Glass doesn’t need that kind of upkeep; they don’t even need paint to look good. It’s also easy to clean glass, as it doesn’t require the use of special products and solvents that may be health hazards themselves. If using glass as a wall or an office partition still makes you nervous, contact us today. 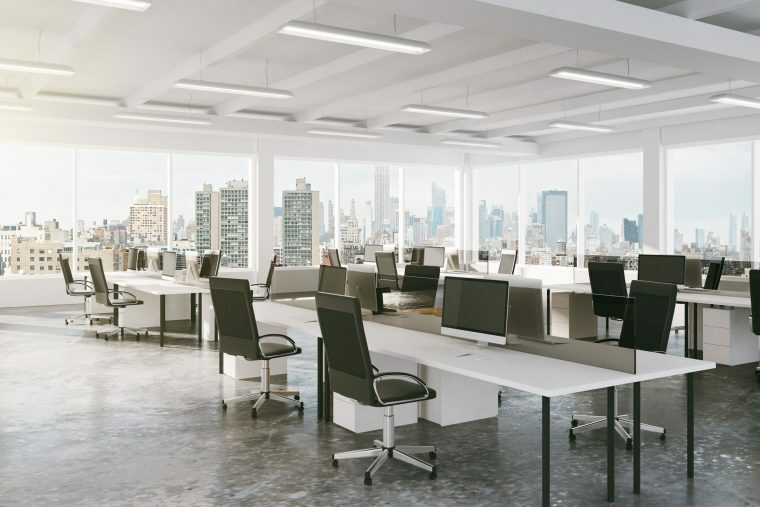 Our team has years of experience in designing and outfitting office spaces for every type of business. We work with different materials every day, and we can talk to you about the best options for the space you have.